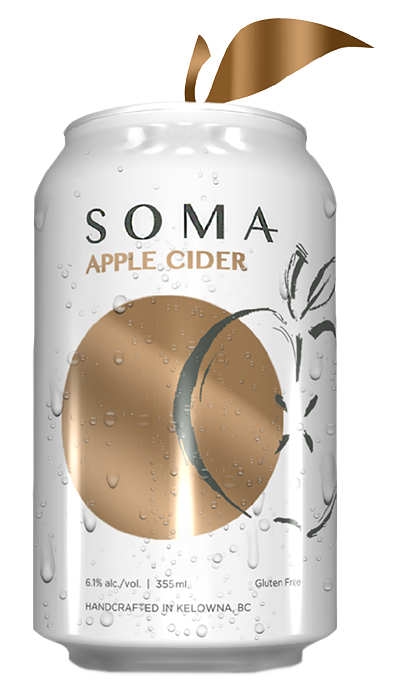 Soma is a Craft Cidery. We blend tradition with imagination to produce exceptional cider. Soma is a working Farm. We offer cider tastings and casual dining on site at our orchard and cidery. Soma is a modern Farm Inn. We provide exclusive accommodation in an unparalleled rural setting. Soma Cider is an extension of our field-to-tap philosophy: always local, handcrafted, and sustainably produced. We use all-natural ingredients, harvest from Okanagan Valley orchards, and use fresh-pressed juice. We never use cane sugar, sweeteners, or concentrates. Soma produces small-batch ciders through a rigorous process of tasting, testing, and refinement. We hope you enjoy our cider as much as we enjoyed making it. We look forward to sharing with you. Our menu focuses on local fresh ingredients and artisan products. Everything is prepared on site by our in-house chef Brianne and of course, our menu pairs perfectly with our selection of craft ciders, fermented, filtered and bottled right here at SOMA.